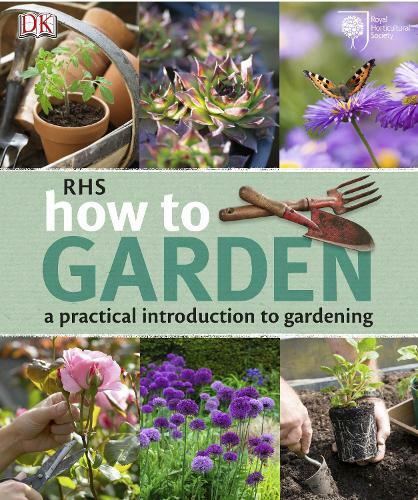 Whether you're a beginner gardener or looking for gardening tips to improve your existing gardening skills, this is the complete guide on how to garden from the experts at the RHS, now with a new-look jacket. Want to know how to plant in containers or how to create a successful vegetable garden? Whatever your level of expertise, you'll find everything you need to know in this easy-to-follow guide. From bulbs to borders, weeds to watering, pick up gardening techniques, practical basics, and simple skills which will have your garden blooming. Top tips to guide you every step of the way with clear, easy-to-follow advice and photographs. Find out the principles of good of gardening - how plants work and how to give them what they need. This is your one-stop guide to creating and enjoying a garden of your own.